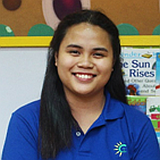 Teacher Mykee is a Psychology Graduate from Assumption College. To start off her career, she was part of a Behavioral Training Firm and later joined the Training Department of an Insurance company. She is currently part of a small group and a worship leader in CCF. She is also into sports and arts, a nature and dog lover too. Teacher Nica is our go-to girl when it comes to choreographing dance steps and planning surprises and events. She is a BS Psychology with AB in Guidance and counseling graduate at St. Scholastica’s College, Manila. She is someone who has a love for learning and this shows as she is still on her way to completing her next degree in AB Mass Communication in the same university. She is firm with her Kinder students when it comes to classroom rules, but never forgets to love them and play with them each day. 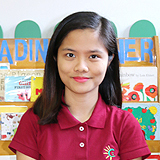 Student by mornings, and a teacher in the afternoons, Teacher Nica has a lot of energy and zest to offer, indeed! 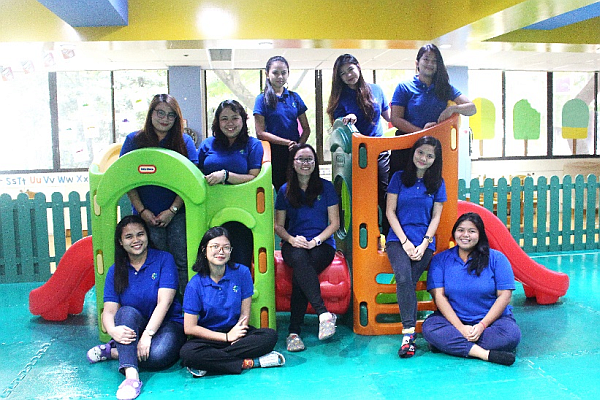 Teacher Anna is our fun and sporty Junior Nursery C and Vertical PM Teacher. 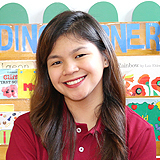 She graduated Assumption College Makati with the degree Bachelor of Elementary Education Major in Preschool Education and is a Licensed Professional Teacher. 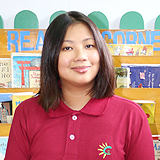 Other than her academic profile, Teacher Anna was also the Team Captain of AC's Basketball team during her college years. She is truly a kid at heart and enjoys playing with her best team mates yet – her students. Teacher Elaine is our gentle Toddler Teacher. She graduated Bachelor of Elementary Education Major in SpEd from Adamson University and is a Licensed Professional Teacher. She is a keen observer which helps her get to know her students well and teach them. On days when she isn't teaching, she enjoys going on road trips with her family and listening to music. 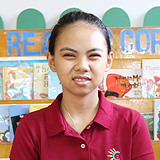 She has a love for learning and plans to take her Masters in SpEd or Early Childhood Education in the future. 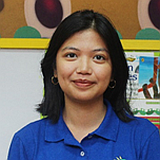 Teacher Nola graduated from UP Diliman with a degree in Home Economics. She believes in the importance of early childhood education and taking part in the wild imagination of the kids. As for her leisure time, she spends it by listening to music, watching films, and taking pictures with her film camera. Teacher Ish finished BS Biology and Teacher Certificate Program in University of Santo Tomas. She likes to explore new ideas through various documentaries and dabbles in things related to arts and crafts!